Stand out in a crowd. Make one, make many. Each Tuxedo tote is as unique and stylish as you are. Finishes:15” x 5” x 16”. Take a tour of our Tuxedo gallery. Please enter your Name and Email address and click on the “Download now” button which will send you an email with the free download link to the Tuxedo cover. 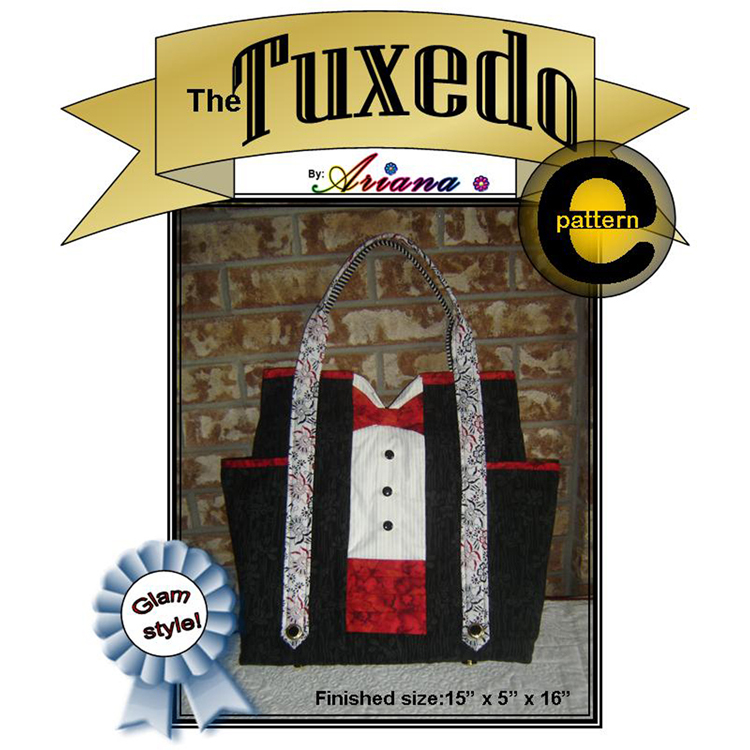 The Tuxedo cover is your recipe which details the materials needed to make your own Tuxedo tote. We certify that Ariana Hipsagh is the rights holder for this download product. Therefore the download file (9 pages PDF) is an authorized version for sale and distribution. The Tuxedo tote pattern uses quilting and flat construction sewing techniques to produce a practical carryall. Go green and in style with your Tuxedo which is roomy enough to take you anywhere. Versatile : Make one, make many. Each Tuxedo is as unique as you are. If your e-pattern does not automatically open on your computer click this button to get your Adobe Reader. NEW ==>>Download Now <<== SAVE …Time. … Money . … Shipping, Handling.